University of Maine at Presque Isle officials announced today that Provost and Vice President for Academic Affairs Michael Sonntag will step down at the end of January to accept the top position at the University of South Carolina Sumter. He has served as UMPI’s chief academic officer since 2007. As USC Sumter’s Regional Campus Dean, Dr. Sonntag will serve as the chief executive officer of the campus, with responsibility for the overall management and administration of the institution. USC Sumter is one of the regional campuses of the University of South Carolina. The campus serves students in a six county area of central South Carolina. Because work in the position at USC Sumter begins immediately, Dr. Sonntag will need to leave his post at UMPI at the beginning of the Spring 2014 semester. 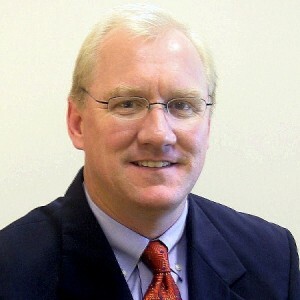 During his time at UMPI, Dr. Sonntag has worked with faculty leaders to build a strong online academic presence, increase summer course offerings, and develop a number of new agreements with schools like Northern Maine Community College, the Maine School of Science and Mathematics, and the University of Maine at Augusta. Dr. Sonntag has also supported an increase in faculty research and scholarship, integration of technology in teaching, and increased internationalization through partnerships in China. Along with other campus leaders, he has worked to strengthen relationships between the campus and the community as well as within the University of Maine System. Dr. Sonntag first came to Maine in 2007 from Lander University in Greenwood, S.C. where he was an associate professor of psychology, chair for the Department of Psychology, and director of assessment and planning. During his academic career, Dr. Sonntag has delivered numerous papers, and had a variety of journal articles and book reviews selected for publication. Dr. Sonntag received his Ph.D. in experimental psychology, with an emphasis in developmental psychology, and his M.A. in clinical psychology from the University of Arkansas. He received a bachelor of arts in psychology from Baylor University in Waco, Texas.